Do You Have These Best Sellers From Bassike? 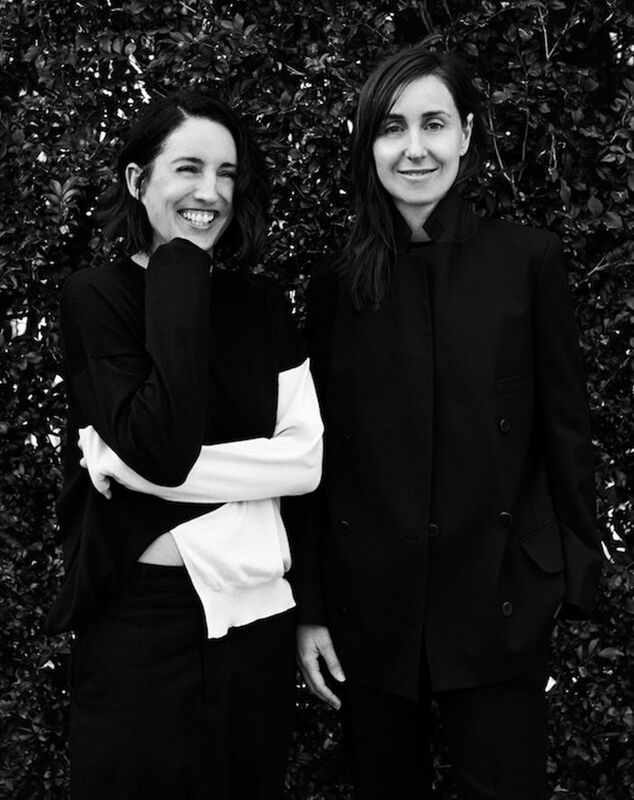 Ahead of their brand's international expansion, we had a chat with the co-founders of Bassike, Deborah Sams and Mary Lou Ryan. Since its launch in 2006, the brand has gone from strength to strength. The vision for the label started with a collection of cotton jersey. Since then, Bassike continues to evolve—branching out into denim, seasonal mainline collections and now, making stateside fans happy with a store opening in L.A.’s Venice. Loved by everyone from supermodels to bloggers, Australia’s most stylish are rarely without a Bassike tee hanging in their closet. If you’re new to the brand, start with a classic white tee and some relaxed denim. You’re guaranteed to come back for more. Keep reading to find out Bassike’s best-sellers, how to care for jersey and what’s next for the label. Who What Wear: You're going global—what made you decide on L.A. for your first overseas store? Deborah Sams & Mary-Lou Ryan: Venice, California feels like a home away from home to us. We spend a lot of time in the U.S. and always base ourselves there. We feel there is a synergy between Avalon where we opened our first store and Venice, CA. We felt the brand would translate very easily there. WWW: Who would you love to see wearing Bassike in L.A.? DS & MLR: It will be exciting to see the locals in Venice getting behind the brand like they have in pockets of Sydney. WWW: What are your top 10, best-selling pieces in Australia? DS & MLR: This changes all the time however we still have pieces from our first collection that are still in our top 10. These include our button pocket t-shirt and dot t-shirt for men’s, our women’s v-neck t-shirt, slouch jersey pants and lo slung jeans are still a core part of our business. WWW: What pieces do people keep coming back for? Is it denim, basics or fashion pieces? DS & MLR: They like it all. Often our customers are introduced to the brand through our jersey then come back to purchase our denim and mainline. WWW: What are you obsessed with right now? DS: Designing my new Japanese inspired beach house. Ed’s note: we are desperate to see this. WWW: What's next? Will you be launching your own shoe or jewellery line? DS & MLR: Yes, it’s on the agenda. Ed’s note: cue screams of joy. WWW: If you could only have one piece from your current collection, what would it be? DS: S/S 15—I would have to say our wide sleeve tailored jacket and matching tuxedo pant. This look is very me worn back with a pair of old Vans. WWW: Is there one style that you’ve been re-cutting from the start? ML: The men’s button pocket t-shirt. It’s still our number one best-selling men’s product. WWW: Organic cotton—how is it best cared for? DS & MLR: Just pop it in the wash and then on the line or tumble dry it as it has been pre-shrunk. Wash it with like garments. WWW: As the masters of jersey, do you have any tips on how to find the perfect white tee? DS & MLR: Yikes! There is a sea of jersey out there. I would say go to the brands who are known for their jersey and make sure it’s produced locally and ethically. What is your favourite piece from Bassike? Sound out in the comments below.